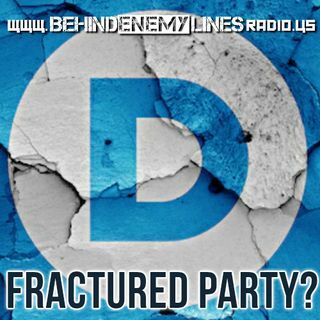 Happy Thanksgiving from Behind Enemy Lines Radio! This week, Gene flies solo-ish and talks about the dissension in the Democratic ranks exposed this week, when Congressional Democrats signed a letter of "no confidence" in Nancy Pelosi for Speaker of the House - and even then how Alexandria Ocasio-Cortez broke down the politics of division even further. Because, apparently, some progressives are more "real" than others. Even the Women's March organizers are fighting ... See More among themselves and dividing not only by gender, but by race. Then, Gene talks to BEL Contributor Nat Paul about his recent series of articles about reforming the Electoral College. It's a healthy discussion of differing points of view on the topic of why it exists, and what, if anything, should be done to change the process for upcoming Presidential elections. And, with 2020 just around the corner, now is as good of a time as any to talk about this and more.